The Winchester Filter is a very specialised unit designed specifically for use on closed circuits. It has a special valve within its own body which allows the filter to backwash completely off line. The use of an external water source means that the system on which it is operating is not affected by a backwash. This means the system pressure and volume are not affected, and there is no need for a large feed system. and is designed for use at pressures up to 10 bar and temperatures up to 95C as standard. The FSFS is designed to improve the efficiency of filtration on any system, using a large header which reduces the velocity of the incoming flow to encourage any heavy particles to drop out of suspension. At the bottom of the header is a pump inlet, which pushes a much smaller flow through the filter. Usually linked with the Winchester Filter (above) the FSFS is a very cost effective way of keeping dirt (and air) from damaging your system. 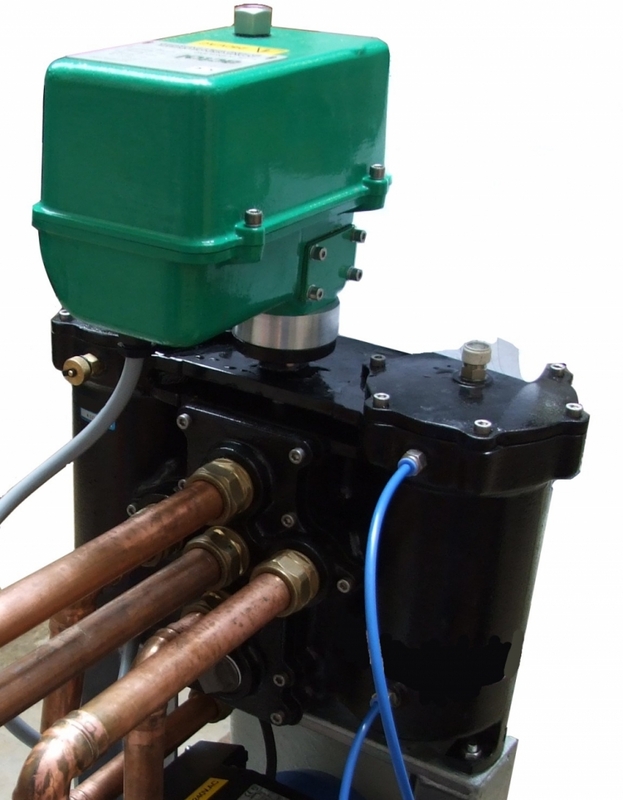 The whole unit comes complete with its own header (with 4" connections), pump (240Vac), filter, differential pressure switch, backwash supply tank and PLC based control system. Most usually found in heating and cooling systems the FSFS/W is a very efficient unit. 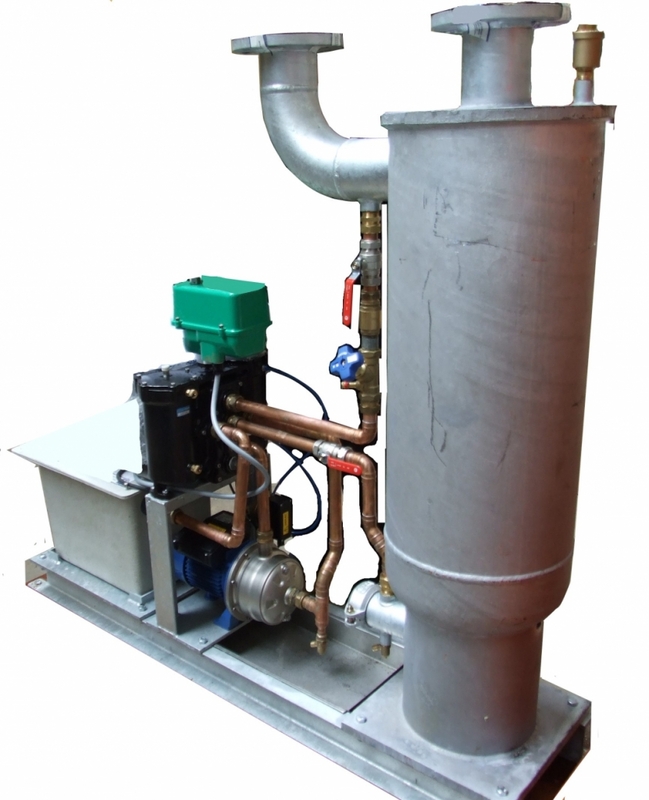 The header is made in galvanised steel, with copper/brass fittings and a stainless pump.